The Sitka Salmon Shares office sits on Main Street in Galesburg, Illinois, approximately 3,000 miles from the Tongass National Forest and the communities of Southeast Alaska. Despite this distance, we share a commitment to the salmon, fishermen and public lands that make up the Tongass National Forest. 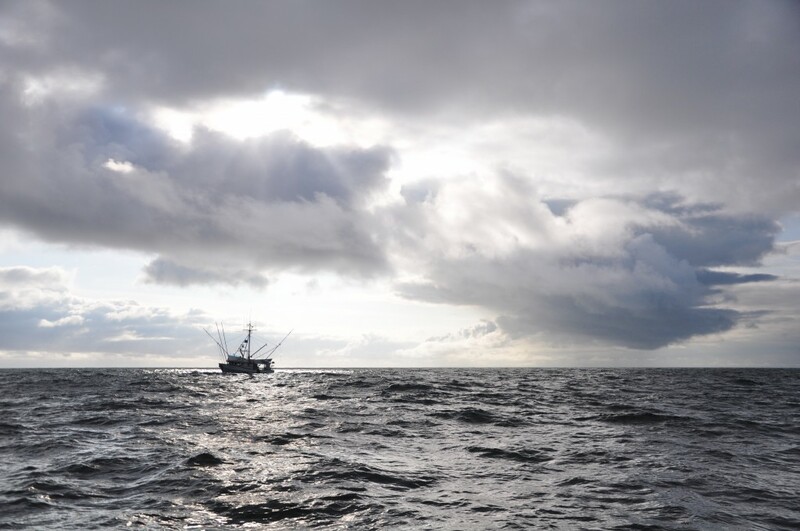 As we at Sitka Salmon Shares navigate connecting socially and environmentally conscious consumers in the Midwest with small boat fishermen in Sitka and Juneau we have continued to return to the story of the Tongass National Forest. 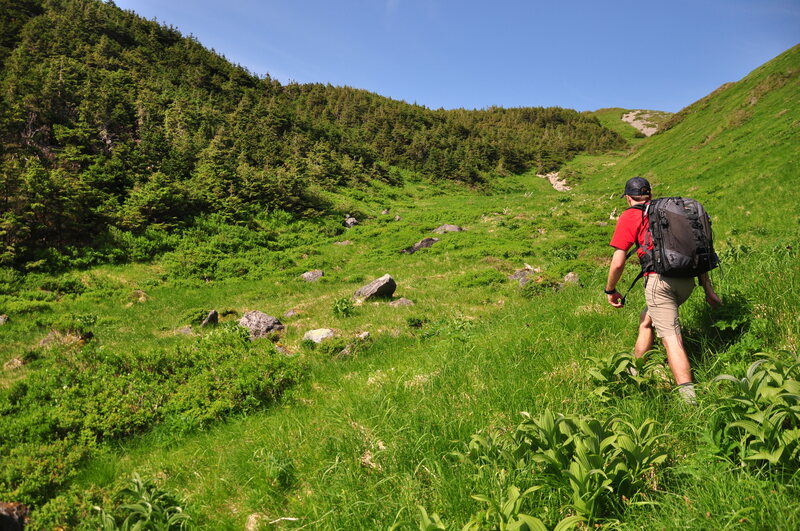 The Tongass poses a particularly compelling connection for many people out here in the Midwest. 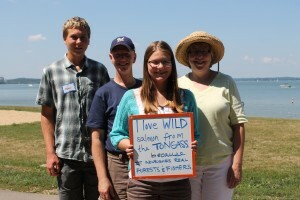 In the conversations I’ve had and the advocacy letters I’ve read I have learned that, as proud Midwesterners, our members understand they need to support their fellow citizens and public lands beyond their regional borders. They identify with the inextricable connection between place, culture and livelihood. They can relate to the fine balance between stewardship and reliance on resources. And just as they enjoy supporting their local farms, dairies and breweries, they appreciate supporting their fisherman, who although not as local is just as fundamental to their food system. But, for most of our members, their growing reverence for the Tongass National Forest comes down to something much simpler: the taste and quality of the wild salmon we deliver to their doorstep during the summer months. They know that the bountiful streams and rivers of the Tongass National Forest reared their wild salmon. They understand that the delicious and nourishing salmon that ends up on their dinner tables had a long journey — a journey that connects them to their fishermen and to the Tongass as a whole. When Midwesterners join Sitka Salmon Shares, we help them become aware of the Tongass National Forest as a national treasure. And for these reasons, they feel a responsibility to safeguard it for both those that rely on the Tongass for their livelihood locally, and for folks like them, thousands of miles away, fortunate enough to share in its bounty. 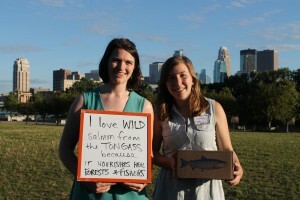 Therefore our members in Minnesota have been writing to Senator Al Franken, our members in Wisconsin have been communicating with Senator Tammy Baldwin, and our members in Illinois, Iowa and Indiana have been contacting the Chief of the Forest Service Tom Tidwell in order to advocate for the Tongass and the Tongass Transition. They all write to share their hopes for a healthy, sustainable future in the Tongass by prioritizing funding for watershed restoration, caring for salmon habitat and making sure fisheries remain strong so that communities, near and far, can thrive. The signing of the Wilderness Act of 1964 legally mandated the preservation of designated wilderness areas throughout the United States. Section 2 (c) elegantly defined wilderness to be “…an area where the earth and its community of life are untrammeled by man” as well as “…an area of undeveloped federal land retaining its primeval character and influence, without permanent improvements or human habitation, which is protected and managed so as to preserve its natural conditions.” In regards to managing these wilderness areas, two contradictory phrases emerge from this definition: “untrammeled by man” and “natural conditions.” They may not seem to be inherently contradictory, but even with minimal human activity, over time the idea of “wild” and “natural” have begun to clash. 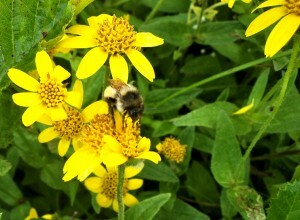 Ecological restoration is defined by the Society for Ecological Restoration as an “intentional activity that initiates or accelerates the recovery of an ecosystem with respect to its health, integrity and sustainability.” Thus, restoration with its innate quality will bring conservationists into wilderness areas, compromising the wild aspect of the wilderness. Still, if restoration is not pursued, the naturalness of the area may be further diminished, as native ecosystems degrade. So, herein lies the management dilemma for restoring wilderness—striking the balance between wild and natural. The vague definition of wilderness adds to the management conundrum, as what aspect of wilderness takes priority (being “wild” or “natural) is up for interpretation. 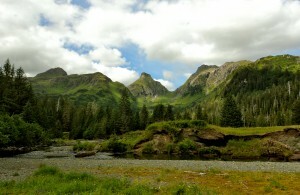 The Tongass, with 18 wilderness areas spanning 5,746,000 acres, presents a unique vignette of this dilemma. Recently, a group consisting of Scott Harris (SCS’s Conservation Science Director), Kitty Labounty (SCS board member and Botany Professor at University of Alaska Southeast), Jen McNew (Botany Intern) and myself ventured to Rust Lake, located in the West Chichigof Wilderness area, to take our stab at wilderness restoration. Our task was to locate and eradicate non-native dandelions (Taraxacum officnale). This recent trip was the second time that Kitty had been to Rust Lake this summer. The dandelion population was present but not overwhelmingly so. During our three days at Rust Lake we pulled over 1,000 dandelions from gravel bars along the Rust Lake stream. One thousand plants may seem like a lot, but it is likely that your backyard has over 100 individual dandelion plants. Still, dandelions are well adapted to distribute hundreds of seeds great distances and are capable of outcompeting the native plants at Rust Lake. This is why we were motivated to manage the population. That being said, the native flora, including monkey flower (Mimulus guttatus) and alpine bog swertia (Swertia perennis), currently appear unharmed. Thus, with two trips per year to Rust Lake to pull dandelions, the native ecosystem will likely flourish. 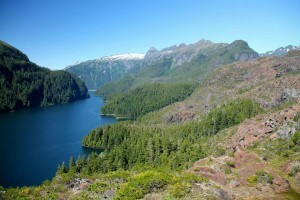 Rust Lake offers another possible wilderness restoration project, because it has a “tap” for a hydroelectric plant that used to provide power to the historic Chichagof mine. The hydroelectric plant and mine are both inoperative, but the tap continues to function, significantly lowering the Lake’s water level below its natural level. In fact, the water level is so low that our floatplane pilot remarked that landing in Rust Lake is “always an experiment.” Plugging this spigot appears to be a straightforward project that would not be too difficult, but go a long way in restoring Rust Lake to its natural condition. This brings me back to my original point, what takes priority? Restoring the lake to its natural condition? Or keeping it “untrammeled” by human activity? If you had asked me a few years ago what I thought about hunting I probably would have said I didn’t like it. I appreciated the whole wild food thing but hunting = killing. And that was bad. Or wrong. Or something. But today I was called a huntress…let me explain. Saturday was the day of the hunt but we woke to heavy raindrops and mountains hidden behind thick clouds. We weren’t going anywhere. So we snuggled deeper into our sleeping bags and let our heavy eyelids close. After a bit more sleep, we had pancakes smothered in peanut butter and homemade jam, a gooey blend of rhubarb and wild blueberries. We spent the next few hours playing cards and reading aloud from the “Princess Bride.” Not a bad way to spend a rainy afternoon. The rain eventually let up enough for a little peak outside, so we pulled on our rain gear; my partner grabbed his rifle and I slung a pair of binoculars around my neck. I was the designated scout. We trudged through wet muskeg and noted fresh deer sign. We walked slowly scanning our surroundings, pausing occasionally at the edge of an opening or on a small rise for a better look. We saw plenty of sign but no deer–we would try again in the morning. The four of us woke before sunrise and stumbled sleepily outside. We made a quick scan of the muskeg before climbing up a series of muddy deer trails, bushwhacking our way into the alpine. After a slippery few miles, the forest opened up into a rolling alpine. We fell silent. Silent because it was so beautiful and silent because we were hunting. I got flustered when we saw our first deer, how exciting it was! She was the first of many does we admired from afar (it’s buck season). Is this how people used to interact with the land? 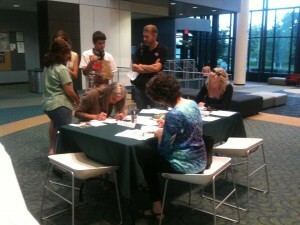 Quiet, attentive, searching… hungry? I was different out there or perhaps more fully aware of myself. I was in tune with my surroundings, each step thoughtfully placed. My eyes active. Instead of taking up space, I became a part of it. We never did see a buck but it didn’t take away from the trip. Hunting creates a space for deeper connection to place and that is enough. I kind of like being called a huntress because for me hunting is a process–an experience. It’s exploration and adventure. It’s intentional and fun. Ask me now what I think about hunting and I’ll tell you I like it. Ask me again when I get a deer. 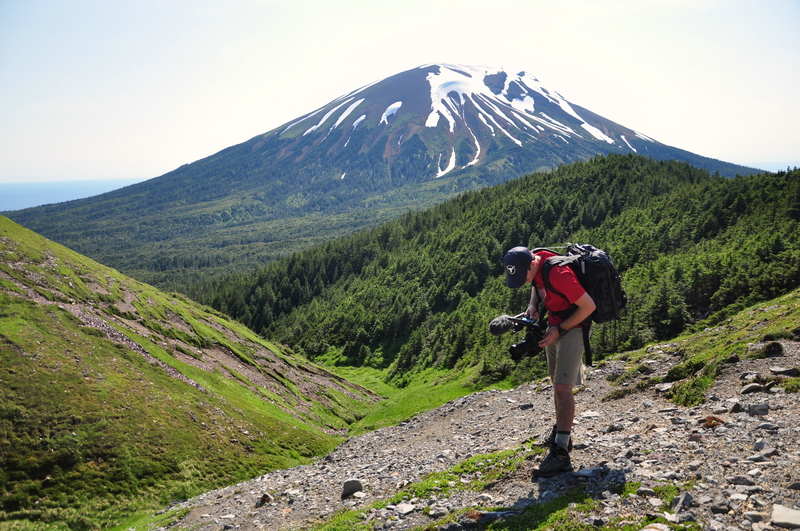 Alpine hunt in the Tongass National Forest. Photo Credit: Caitlin Woolsey. SCS is optimistic with USDA Secretary Vilsack’s recent announcement, reiterating a commitment to the Transition Framework, that there will also be renewed focus on all of the assets the Tongass has to offer. For us, this commitment means prioritizing the health of the forest and supporting local businesses that rely on the Tongass to keep our community afloat. 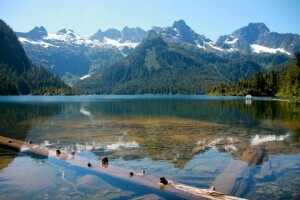 A diverse Forest Service budget that focuses on watershed health, fisheries, recreation and the visitor industry is paramount to preserve the core aspects of a new economy for Sitka and other communities in the Southeast. 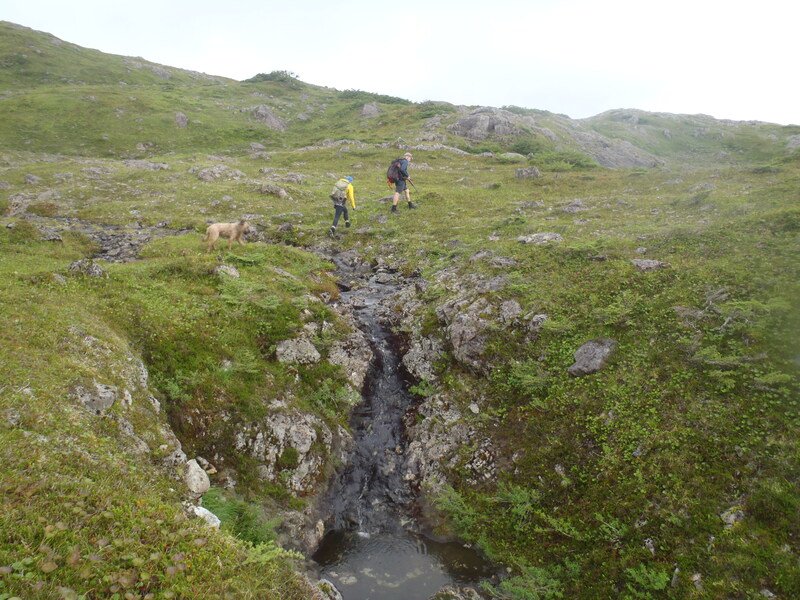 SCS continues to support and highlight projects that clearly demonstrate attention to the Transition in ways that are lacking in other programs and projects on the Tongass. This week’s episode of Voices of the Tongass features, Squid Fishing, a poem written and recited by Berett Wilber, who was born and raised in Sitka. Her collection of poems, entitled Lesser Known Marine Mammals Lesser Known Love Songs, won the departmental prize for poetry this year at Carleton College in Northfield, Minnesota, where she has been a student since 2011. Many of the themes and images in her poems are drawn from her experiences growing up in the Tongass, from the ocean, and from everyday life in Sitka. Don’t forget to tune in to Raven next Thursday during Morning Edition! and i am meeting your mother for the first time. shining steady from across the waves. waiting for the call, boots glowing on the wet deck. To listen to Berett read her poem, click the play bar below. If you don’t see the play bar, try the link. What is wilderness? It was described legally, albeit vaguely, by Congress in 1964 with the passing of the Wilderness Act. However, it remains something deeply personal, is experienced in a multitude of ways and is not always clearly defined amongst its supporters and defenders. 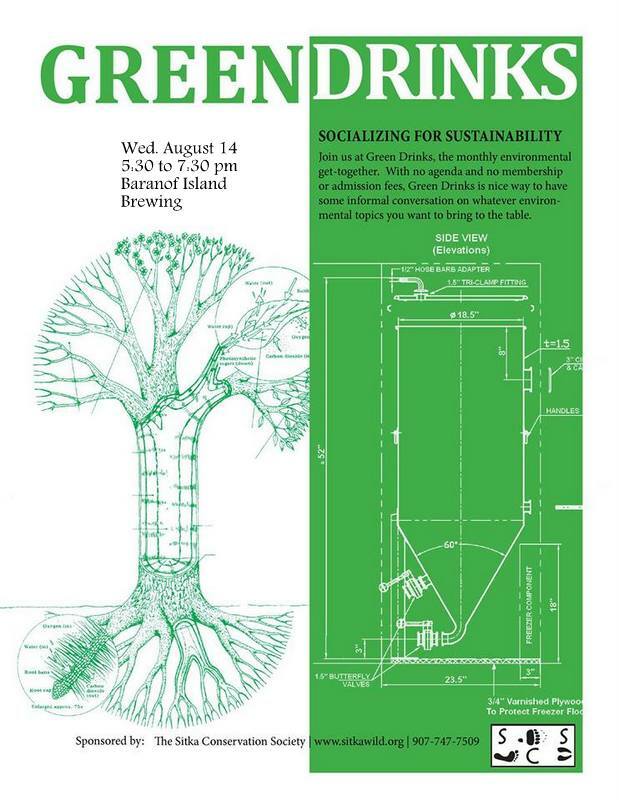 I attempted to define wilderness for myself as I joined one of SCS’ wilderness crews this summer, spending eight days at Red Bluff Bay. While we were there enjoying and exploring, taking full advantage of the opportunity the trip afforded us, we were also conducting Wilderness Monitoring and outreach. Wilderness Monitoring is required by the Wilderness Act, that is, managing agencies (US Forest Service) are responsible for monitoring designated wilderness areas and preserving the ‘wilderness character’. Therein lies the conundrum, how do you monitor something that is not truly defined in the wilderness act? Additionally, both the wilderness character and individual experience are further muddied by the fact that wilderness areas may be adjacent to areas not subject to the same restrictions as a designated wilderness area. Such is the case with Red Bluff Bay. While the land is part of the wilderness preservation system, managed by the US Forest Service, the bay itself is ocean waters. The Forest Service has no jurisdiction over ocean waters therefore; the bay isn’t bound by preserving the same wilderness character as its land based neighbor. So, how do you define a wilderness, or is it really reduced to a matter of boundaries? 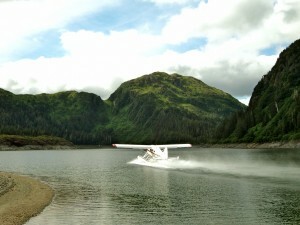 Due to its remote location, Red Bluff Bay is most often accessed by boat and sometimes float plane. If it weren’t for the bay and the access it provides to boaters and planes, the number of visits it receives annually would likely be reduced. We were there, primarily, to monitor wilderness solitude, which entailed counting boats and planes and encounters with other visitors. 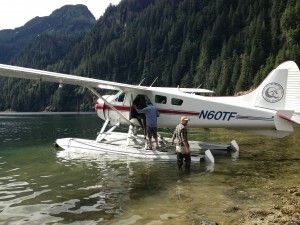 Given our task, it should be noted that our crew arrived there by floatplane and left by boat. We relieved a few crew members from the previous week and joined the camp that was established on the edge of the Northside of the bay, halfway between the entrance at Chatham Strait and the estuary in the west. We spent our days exploring the landscapes around us including the bluffs that give the bay its name, Falls Lake, an old abandoned cannery site, and the estuary nestled quaintly in the western portion of the bay. Our first night we kayaked into the estuary to explore a little and once back there found nine sail boats and two yachts anchored up for the night. Two more yachts anchored just offshore from our campsite, one of the captains telling us they didn’t want to crowd the other boats. On another day we saw the entrance of the bay brimming with activity as a sailboat parade trickled out, replaced by new yachts and small cruise ships motoring in and jockeying for prime spots in the estuary and near the falls. There were the daily salmon surveys conducted aerially by ADF&G planes and commercial fishing boats that occasionally anchored up for the night, flooding our campsite with light. The busiest day had two yachts coming in along with a small cruise ship (towing a skiff) and a float plane landing all within a few hundred yards of one another. 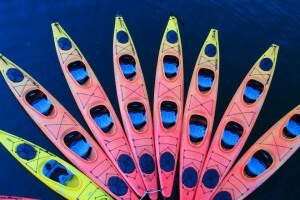 We had spent a quiet evening, just the four of us, paddling around the falls a few days ago, tonight the waters would be filled with kayakers from the cruise ship on a post dinner excursion. While all of this activity disrupted the quiet or gave the impression that you weren’t far from civilization, I still felt a sense of wilderness. I still felt awe struck and grateful for the experience, even if it came with a little traffic and noise. The people that we met were always friendly, and they certainly thought they were experiencing the wilderness. We had our fair share of wildlife encounters too. I found myself mesmerized, sometimes terrified, by bears and sea lions. Whenever we were hiking or kayaking, I found the landscape to be ‘untrammeled by man’ and felt a sense of peace and solitude, along with a dash of anxiety. But that is what makes defining wilderness so difficult. My perception is likely drastically different from those on the yacht, or the cruise ships, or other members of our crew. One person may need a cabin easily accessible by road or a semi-quiet spot in an estuary to feel they are enjoying something wild, while another may need to find themselves truly lost, engulfed by remote spaces that are rarely visited, if ever, by a human being. It’s these differences that make wilderness so attractive; it is subject to context and open to interpretation. For me, it’s a place (where cell phones don’t work! 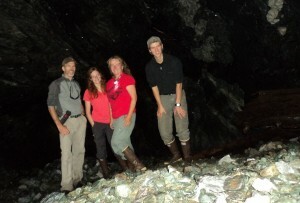 ), a habitat description, a technical classification and a feeling. It’s a place where I can connect and feel lost, even if only for a short time between boat visits and salmon surveys. Bailey Brady in her backyard in Sitka. Photo by Berett Wilber. At 20, Bailey Brady has had fewer chances than most to get her feet planted firmly on the ground. 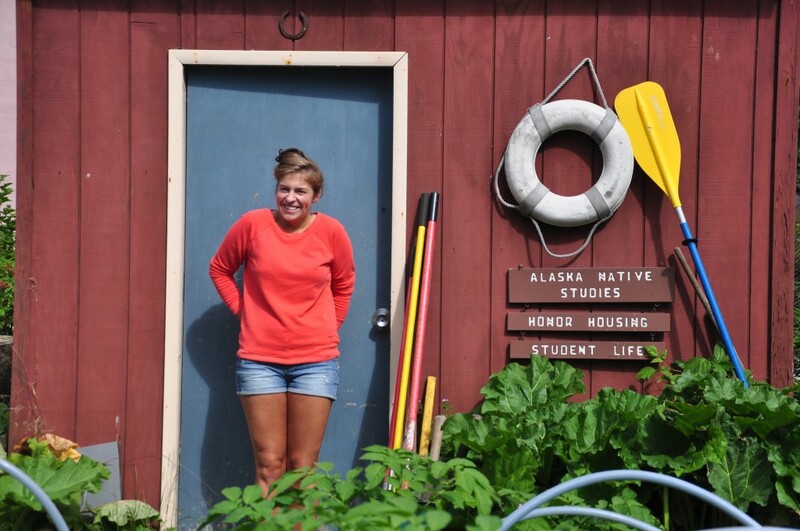 A native Southeast Alaskan, Bailey spent her formative early years living on her family’s float house. “It’s your own personal island!” she says. And it has shaped Bailey’s perspective in a unique way: for here, there’s not just one right way to do things, even in terms of a foundation. “It creates different expectations for me, for a house, and what you can do with it,” she says to us. The fact that we are sitting at a reclaimed restaurant booth on the back deck of her family’s current on-shore home, walled in by recycled windows and a salvaged glass door only serves to prove her point. For many kids (not to mention their parents), a float house might seem like an incredibly limiting perimeter. “To go into town you had to take your skiff in,” Bailey says, “And I was little, so it was just one trip in a day to go to daycare. Then Mom would come pick me up and skiff out again. Other than that, regular life. Just in a house that floats on the water. ” But Bailey says it taught her how to be creative, even if she couldn’t step off her front porch. “You find places to go on your float house,” she says. She recounts the places she would explore: the big deck, her dad’s big troller, which was tied to the float when he wasn’t out fishing. And Bailey was no stranger to fishing herself. Whether it was with her Spiderman rod or just trying to fish her cat Marbles out of the water, she always found a way to stay entertained on the water. Bailey herself is proof of that – her ability to find creative opportunities and possibilities that are often overlooked by others are evidence that the places we grow up shape who we are, from our values to our outlooks on life. And even for kids who didn’t literally grow up on the water, Bailey is a great example of the power of perspective. Your physical boundaries can only restrict you as much as you allow them to – and unlimited adventure can be found in even the smallest quarters. If you don’t see a play bar below, try using the link to play this week’s show, produced by Caitlin Woolsey and Berett Wilber: LWL_BAILEY_BRADY.